Sawtooth presents this 3/4 size nylon string student guitar with a beautiful hand rubbed satin stain finish. This guitar is not a toy, this is a real guitar that produces a great sound, and is built to last. A lightweight truss-rod is included in the neck for easy neck-angle adjustment. This student guitar pack includes everything you'll need to get started on your road to fame. Rise to the occasion with a Rise by Sawtooth guitar in your hands!. 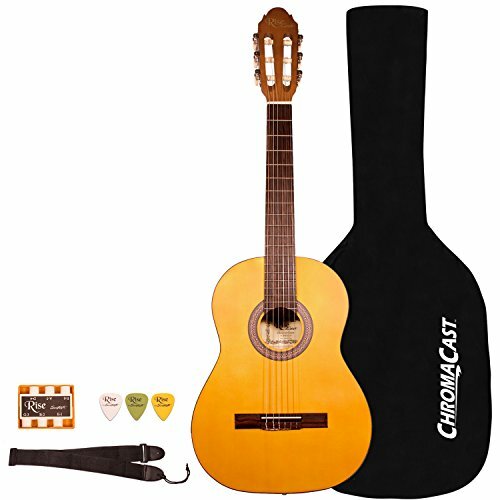 The perfect choice for a beginner's acoustic Guitar!